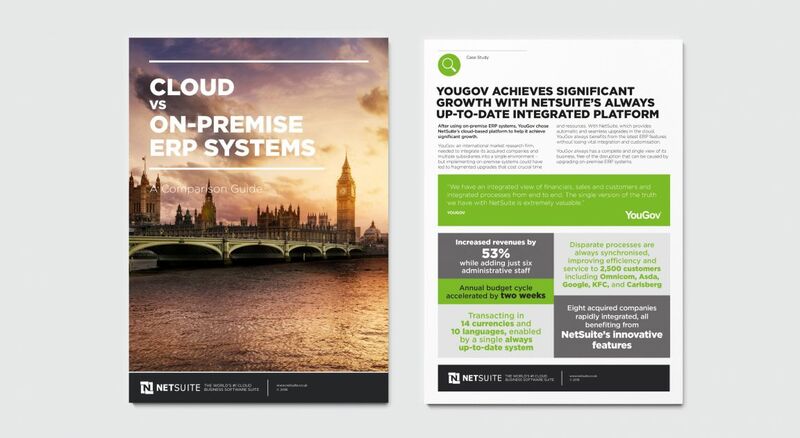 NetSuite, the world's most deployed cloud business software suite, asked The Think Tank to create an ongoing campaign communicating its core benefits to a wide audience of C-Suite decision makers. NetSuite is a well-known brand in the USA but needed help communicating its offer to a UK audience. 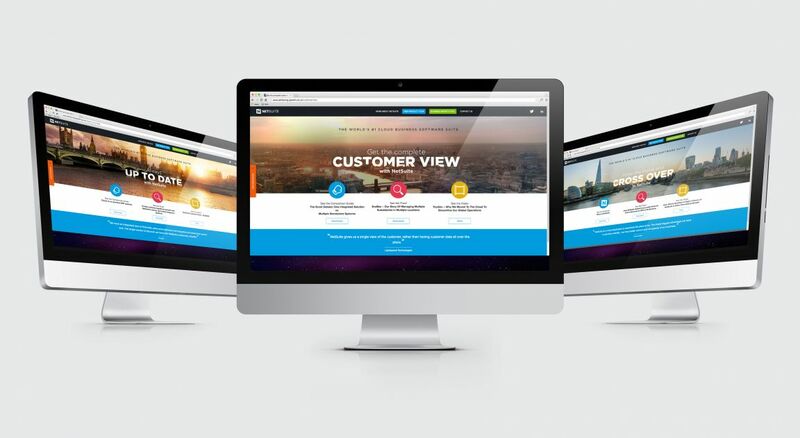 To achieve this, The Think Tank developed a series of sales kits, each offering insight and conveying a key benefit of NetSuite's cloud solutions, designed to appeal to individual audiences, encourage interaction, and deliver sales leads. 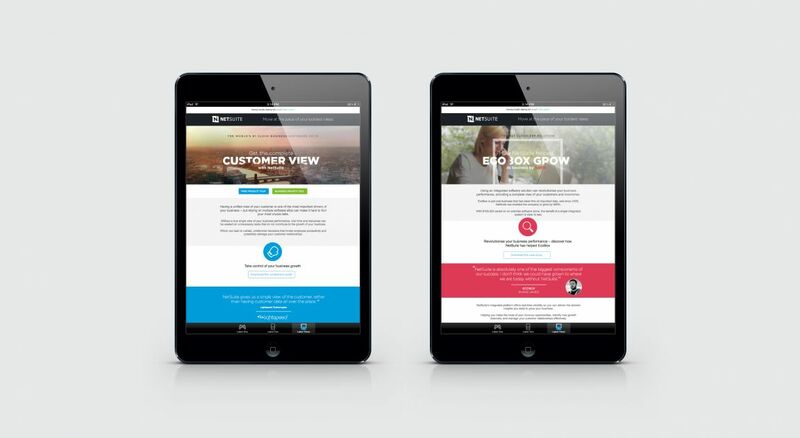 For each kit, The Think Tank transformed the brand's existing content into a full suite of shorter and more succinct marketing tools, including lead pieces (such as comparison guides and checklists), case studies and e-shots, which are all held on a dedicated, interactive microsite for data capture. 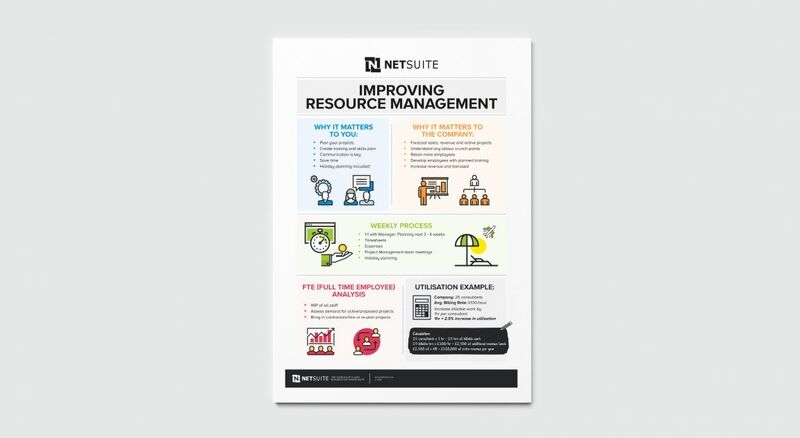 The content delivers insight and, presented within colourful and impactful creative, demonstrates to the audience why they should consider moving to NetSuite. This is further supported by social media content, providing multiple, succinct touch points for an often time-starved audience. The campaign has been a great success so far and we continue to work with NetSuite to develop further lead generation kits, whilst also supporting its targeting of vertical sectors (such as advertising and professional services) with similar campaigns.